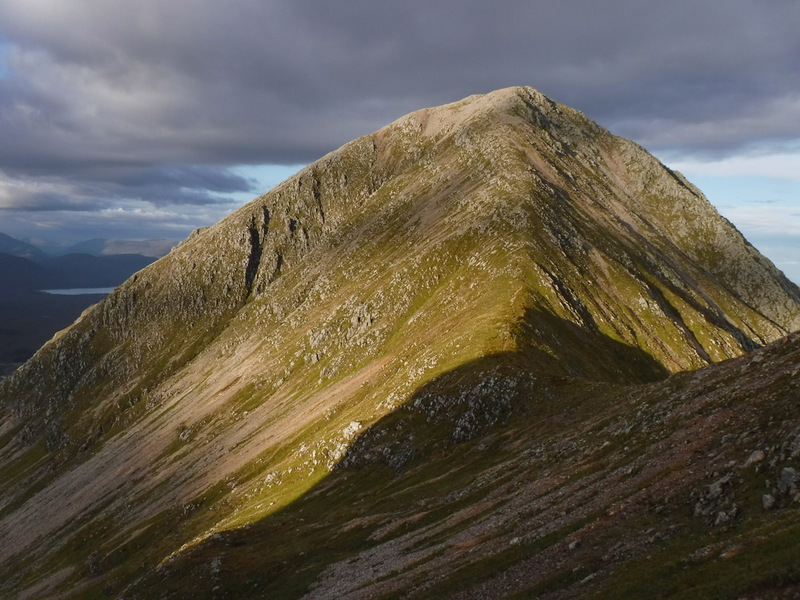 Weather/Conditions: A mega evening on the Buachaille, stunning sunset light. An exceptional evening. 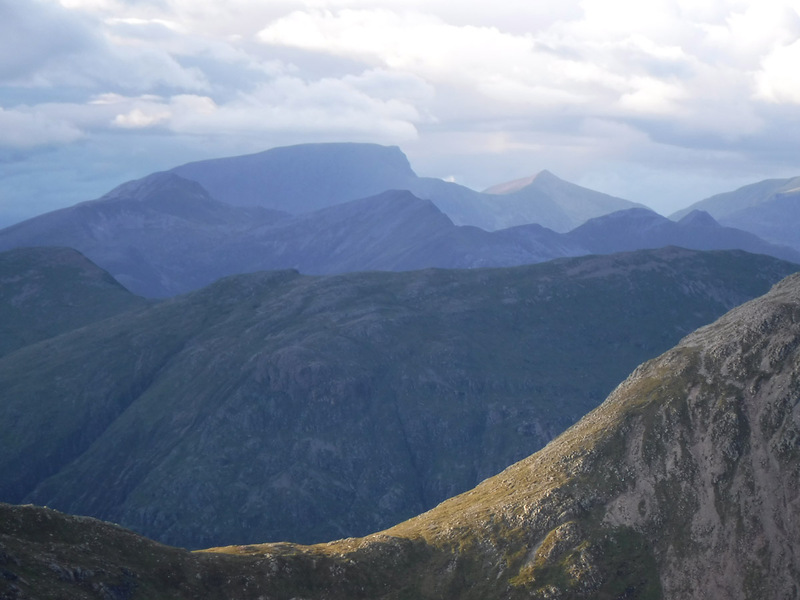 I spent the day working on Carn Mor Dearg and Ben Nevis with Lochaber Guides and in the evening headed south down the A82. 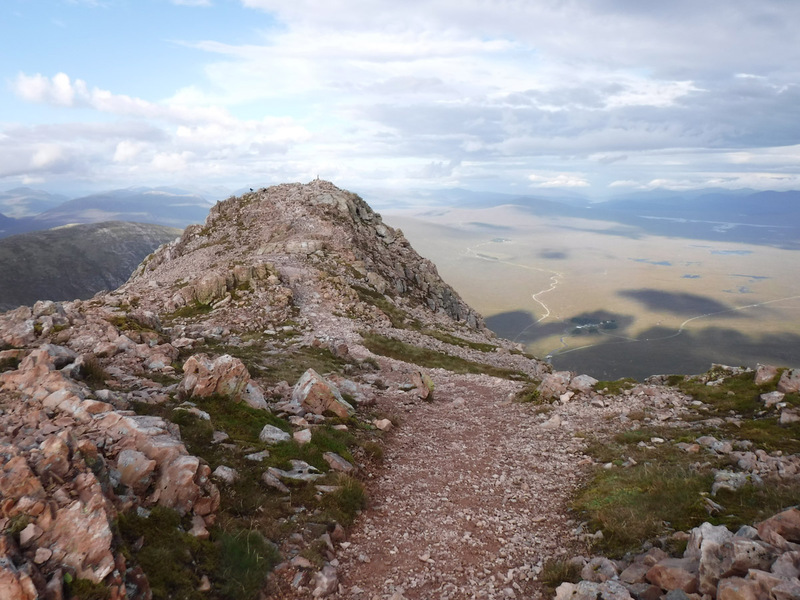 The night before I'd thought about going for a blast over the Buachaille but it hadn't materialised. But with a Nevis hill day behind me, I parked the car and on a rush of blood to the head, decided to climb Broad Buttress in the sunset. 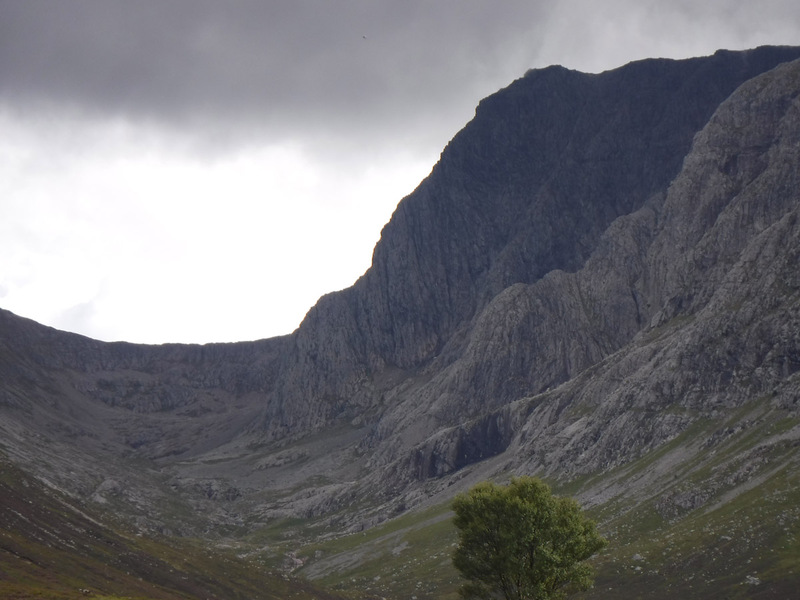 This buttress is one of several that climb up the impressive frontal face of the Buachaille, and offers low grade climbing and a consistent angle that means sustained scrambling but no real 'cruxy' sections. 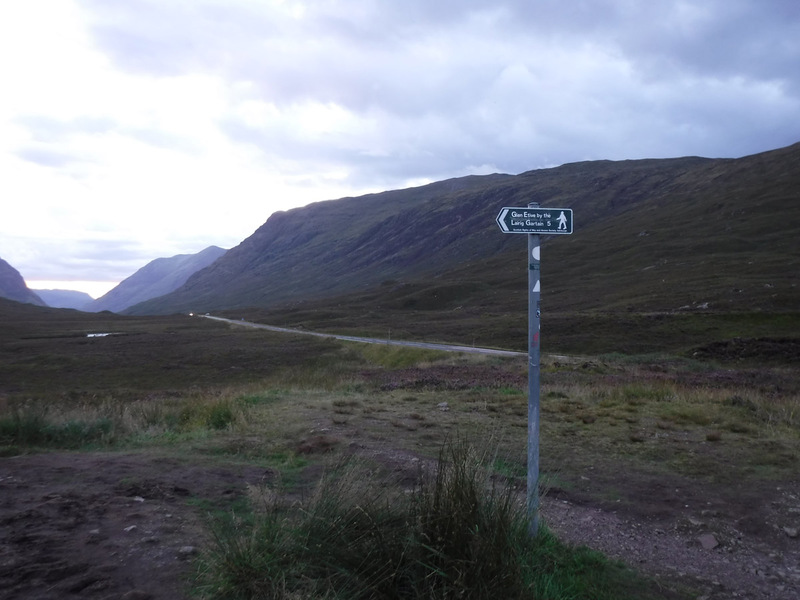 I jogged out of Altnafeadh to the surprise of some folk, and kept going at a hard pace. I felt I was really pushing it here. 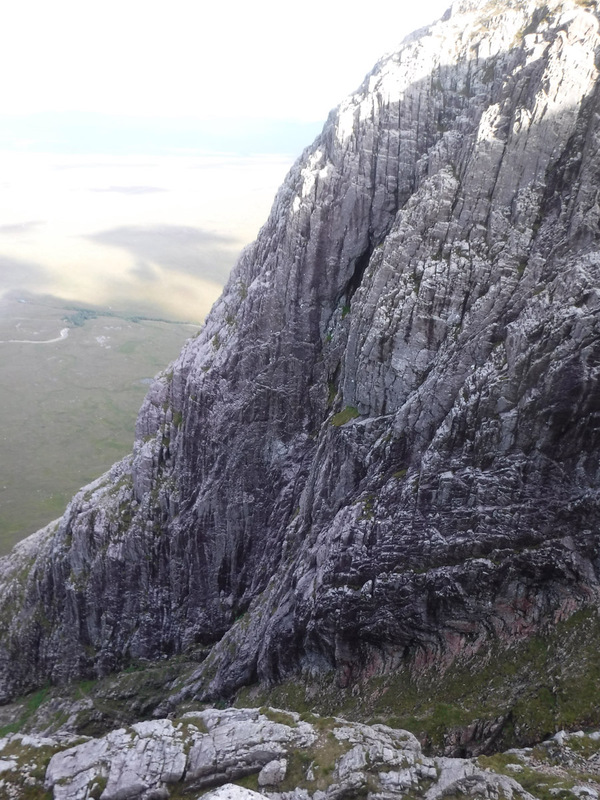 I got onto Broad Buttress and started scrambling. It all felt like it flowed, like it was easy. It just kept coming, and the technical interest as ever took the mind off a body that was working hard. I was also immune to any exposure whatsoever and it made for fast, flowing progress. Views to Slime Wall were certainly impressive but it didn't look quite so big as it seems from below! From above and to the side, it seems to splay apart and rather than seeming like an amorphous wall of rock, I could pick apart features - so much so I didn't even click it was Slime Wall at first. The the evening was also beautiful, with swirling cloudscapes and intense light. 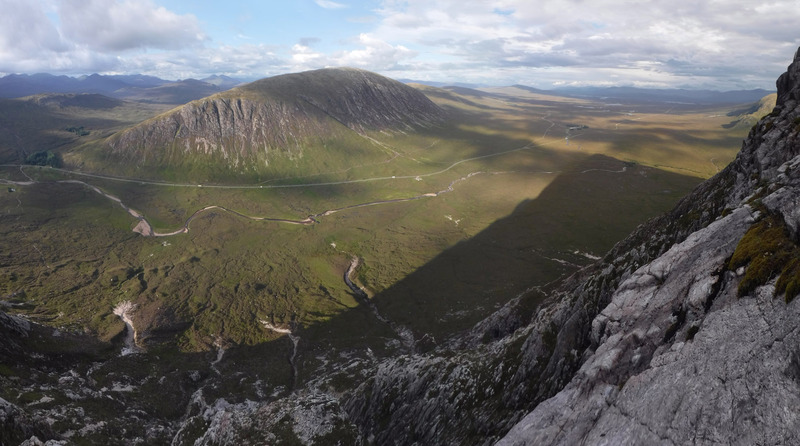 Below, the shadow of the Buachaille was projected onto the moor, always a bonus for being up here beyond the afternoon. 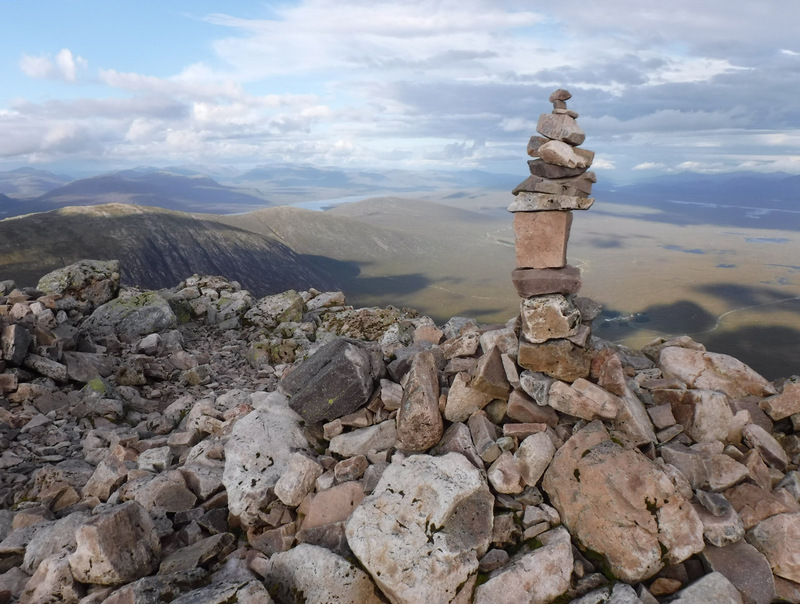 I left the scrambling behind and slogged up to the summit to arrive just a minute short of one hour - brilliant. I wasn't stopping now. 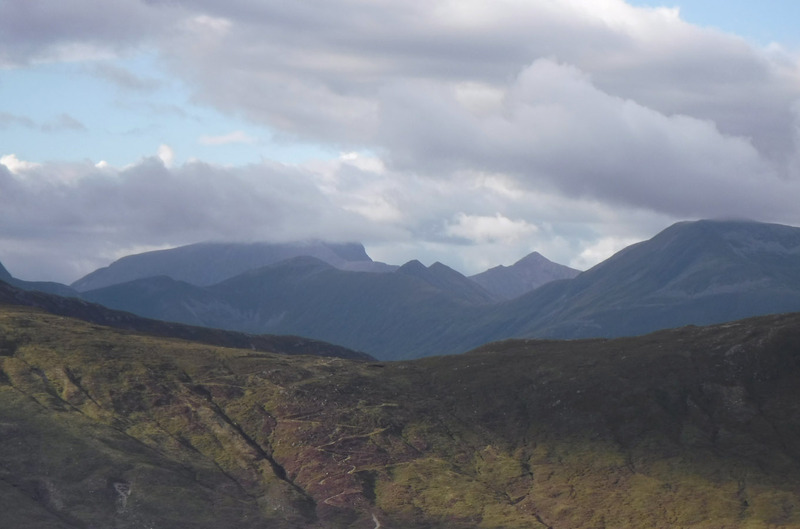 I don't think it had been my intention to go for Stob na Broige, but now I was fired up. I wanted to see how fast I could do it! 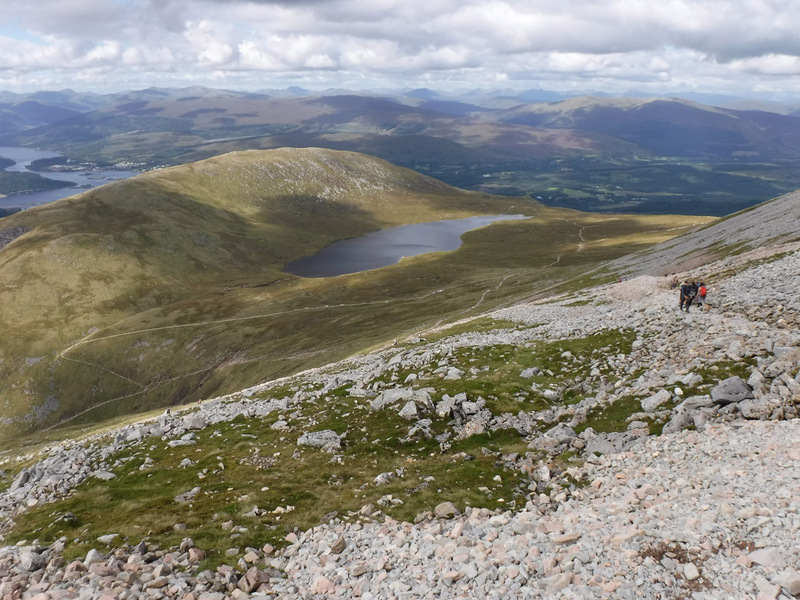 So I headed at a jog/power walk for Stob na Doire, over the top of this and down the far side. 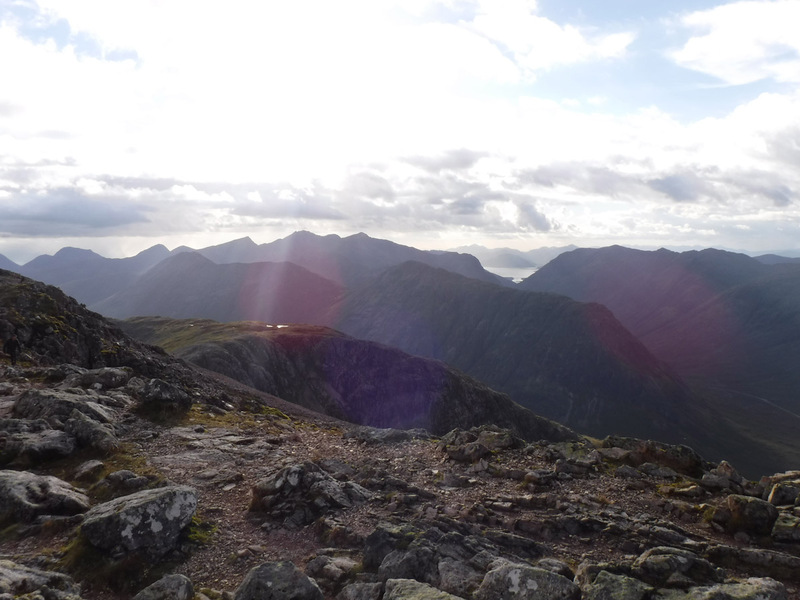 The evening matured into a stunning sunset and by Stob na Broige my mood was electric. I was quite stunned that I was still moving like this, it had been a long day. 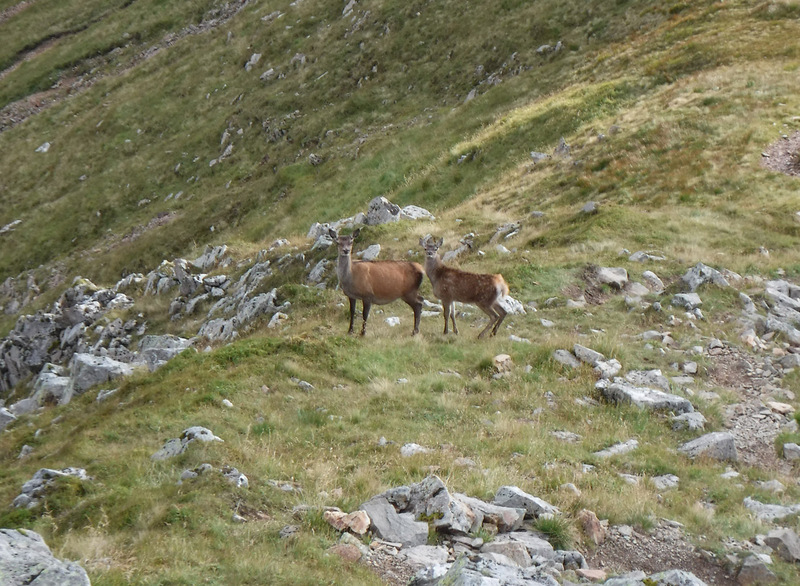 I moved again at a lick, running down Coire Altrium from ridge to glen base in thirteen minutes if I recall correctly. My feet were burning after that one. 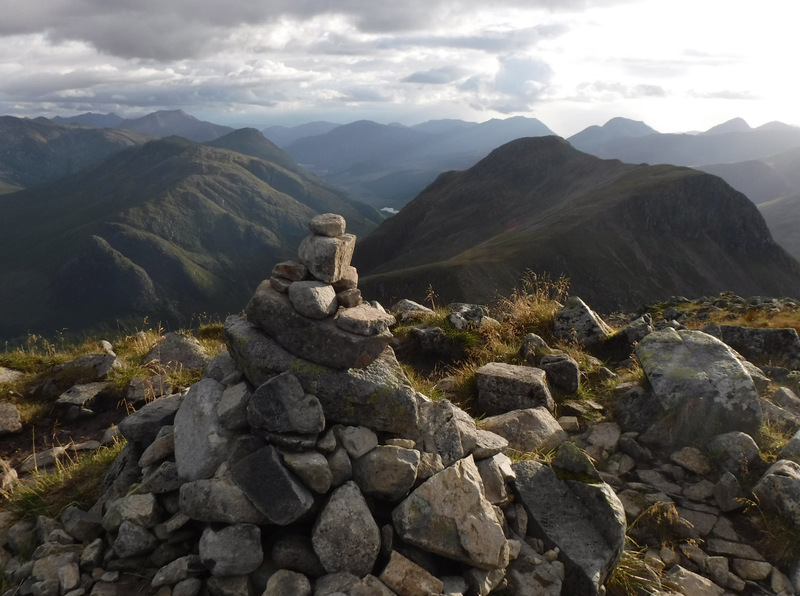 I continued jogging back out to the road and thence to Altnafeadh, back at the car essentially a straight hour after leaving the summit of Stob na Broige. The whole round was a minute short of three hours. 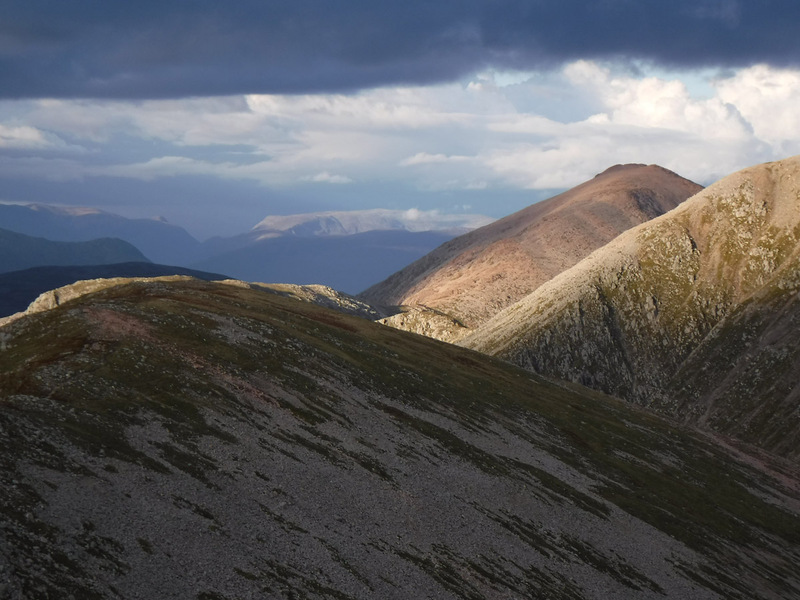 What a fast pace, what a mental evening, in some beautiful light at the end of a long day.